Yes I know, I know … and I’m sorry that I’ve been a very delinquent blogger!! But I’m going to try and redeem myself. … Starting today and continuing through Spring and into the Summer—I’ll be blogging about the themes and issues in my forthcoming book: Six Dots: A Story of Young Louis Braille. These blog posts will be called “Insights” and I invite you to read, comment, and share them with colleagues, family and friends. On May 22, 2011, I sat in the shade of a giant maple on the academic quad, overlooking the campus of Bucknell University. I wasn’t alone, however. A few thousand of us were gathered in that space to witness our sons and daughters as they graduated and began their post-college lives. After the senior class had proceeded down the center aisle and taken their seats, the President rose and introduced the commencement speaker, a man whose global travels, humanitarianism, and multiple film and book awards were indeed impressive. As the speaker, Eric Weihenmayer, stepped up to the podium, the crowd hushed. 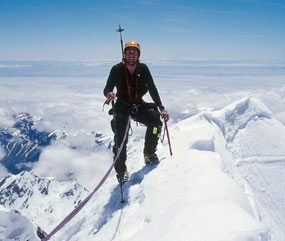 A former teacher, wrestling coach, mountain climber and author, Eric had realized his dream of ascending the highest peaks on all seven continents, including Mount Everest. And he was blind. You can just imagine the effect his words had on us. 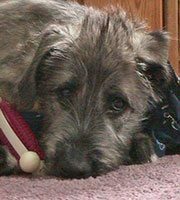 Most of us had taken small risks in our lives, but no one around me could fathom attempting half the things Eric had attempted with our two good eyes, let alone in the darkness of visual impairment. I’ve never forgotten that speech. Eric was bright, insightful, and—my, he was FUNNY! I doubt there was a single person in the crowd that day who didn’t laugh and cry during his speech. Later, as I wrote Six Dots, I thought about the immense impact that Louis Braille’s invention has had for people like Eric—and for all of us, even now, every single day. Louis never scaled Mount Everest, but he struggled up its emotional and intellectual equivalent in order to bring his life-changing invention to millions. You can read Eric Weihenmayer’s full commencement speech here. See Eric’s Emmy nominated film “Farther Than the Eye Can See,” in which he shares his journey of blindness and his ascent of Mount Everest. 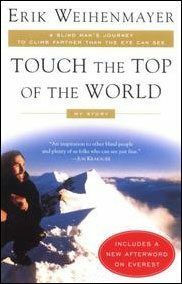 Read more about Eric in Touch the Top of the World, his multi-award-winning memoir. This picture book by award-winning author Jen Bryant (A River of Words, A Splash of Red, The Right Word and The Trial) explores the young life of inventor Louis Braille from a unique perspective—his own. By imagining what it felt like to lose his sight in early childhood, to struggle for the right to be educated, and to invent—despite many obstacles—a new system of reading and writing that is still in use today, Bryant takes us inside the mind and heart of Louis Braille. The story shines a light on his struggle to accomplish what no other person so young has ever done in the course of human history. Learn more at JenBryant.com. This is such an inspiring blog post. I look forward to the completion of your book on Louis Braille. I am a long time fan of yours – we’ve met at NCTE and ALAN and – and I look forward to receiving your blogs – I can assure you that I have attempted many times to create a blog and set up a facebook page for my book pushing business and to date I have not succeeded. So many good books to read and old fashioned pdf attachments in an email to share my newsletter demand less time than the attention electronic communication demands. Keep up your wonderful work.